YouTube/Ted x TalksRocket Fuel CEO George John. 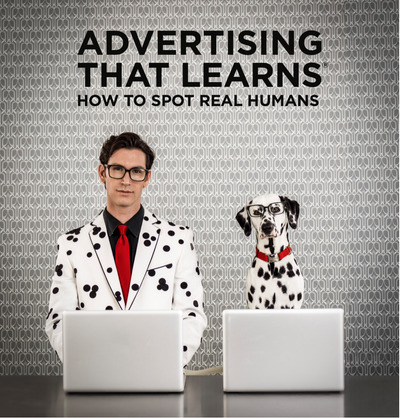 “Mercedes online ads viewed by more fraudster robots than humans,” read the headline, which went on to allege that ads for the car brand were placed on to fraudulent websites by Rocket Fuel. The research, by Telemetry (interestingly, a firm that had expressed interest in working with Rocket Fuel but the latter company instead chose a competitor) found 57% of the ads placed were “viewed” by automated computer programs, rather than real people. Rocket Fuel fired up the crisis communications engine and immediately put out a statement rubbishing the “sensational headlines on top of non-news,” saying only 6% of the served ads identified were questionable (which also doesn’t necessarily mean they were bots). The story was just the start of a series of setbacks for a company that once had a market cap of more than $US1 billion. (It’s now about half that.) But amidst the drama, Rocket Fuel was quietly working on a new solution that it thinks will not only instill more trust in its own network, but help raise the bar for the entire online ecosystem. And the company plans to make it free for everyone to use. Even Telemetry. The company marked what AdAge described as the most successful adtech IPO of 2013 last September, with stock shooting up from the initial offer price of $US29 per share to $US59.95 as trading opened. This was all the more remarkable considering the stocks of other adtech companies going public that year, like Tremor Video and YuMe, failed to rise above their initial offering price. 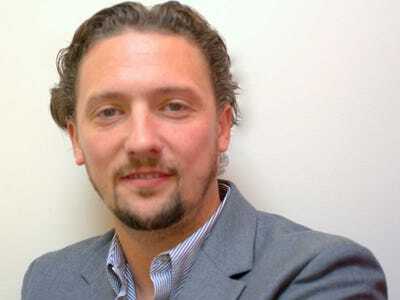 The company posted successive quarters of double digit revenue growth. But investors, clearly unnerved revenue wasn’t growing at the triple digit levels it had been reporting the previous year, voted with their feet and the stock price began to fall (which tends to happen after many startup IPOs). 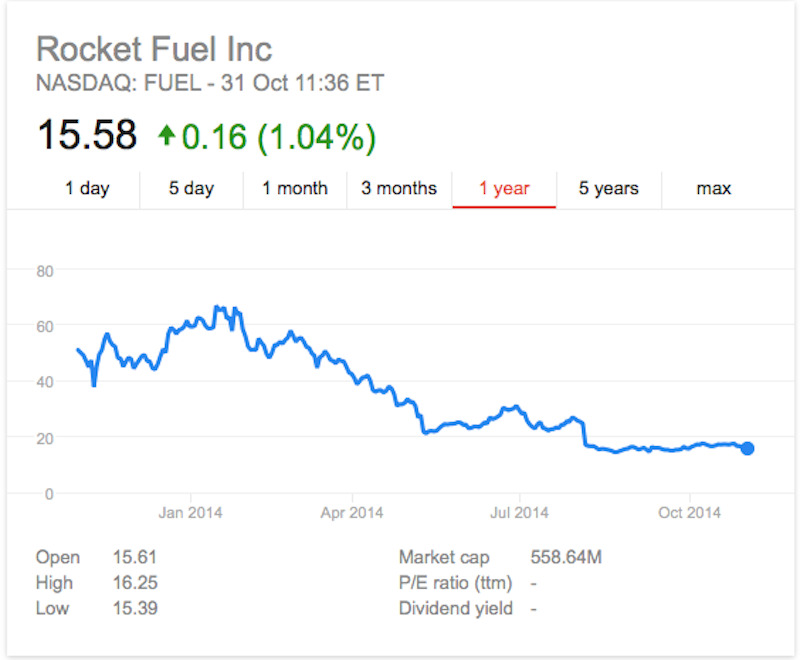 Then, on Aug. 5, Rocket Fuel delivered more bad news for shareholders: the company was lowering its revenue forecast for the full-year. On a call with investors, Rocket Fuel mentioned the company had seen “increased advertiser and agency interest in the quality of ad space and audiences they buy with increased concerns around bot traffic and viewability.” Rocket Fuel’s share price dropped by around 30% the next day. For the most part, the perpetrators of ad fraud tend to be criminal gangs, who take money out the advertising ecosystem. 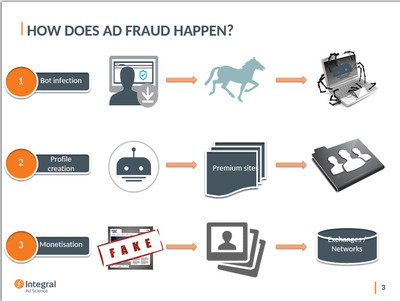 There are many different types of ad fraud and the criminals’ methods are becoming more sophisticated all the time. Often, they infect unsuspecting consumers’ computers with malware and join them together in a legion of “botnets”, in which computers to click on thousands of ads without their owners’ knowledge. Typically, a user goes on the internet and downloads an app or a program like, ironically, a pop-up blocker. That infects their computer with malware and takes ownership of the browser. A bot command centre begins creating a cookie profile that’s attractive to advertisers by clicking on premium sites like Apple, The Financial Times and car manufacturers’ pages. The command centre also instructs the botnet to perform other activities like watching videos, clicking on ads and even purchasing items with credit cards. 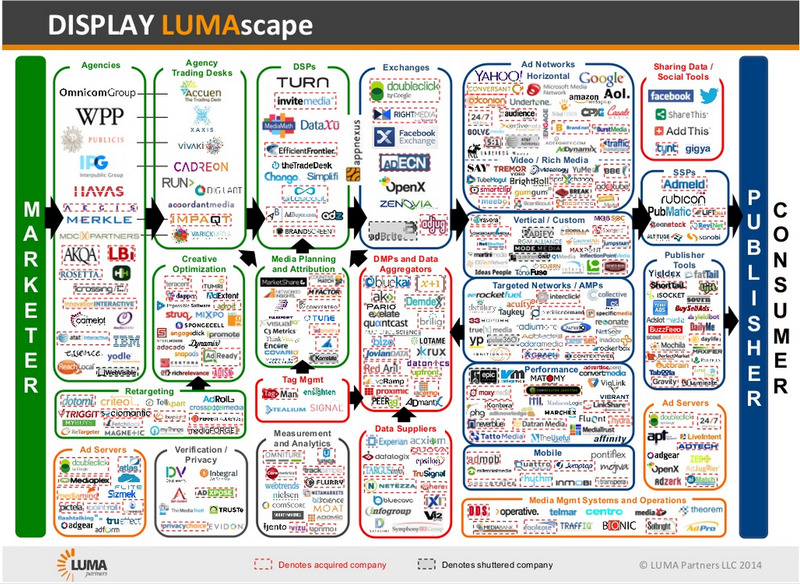 “You get websites we’ve never heard of generating millions of impressions. Suddenly it’s one of the top-performing sites in a network and advertisers even start optimising towards it because it’s working so well (in terms of clicks) and start giving it more revenue. “Advertising exchanges might not identify it straight away as there’s thousands of websites entered in every day and they try to vet them the best they can (at the bid stage) but it’s difficult until you see it up and running. And even premium sites get caught out (with botnet traffic),” Hogan says. Other forms of ad fraud include: ad stacking, where multiple ads are placed on top of each other in a single placement but with only one in view; pixel stuffing, condensing an entire ad-supported site into a 1×1 pixel; and cookie cloning, where a genuine user’s cookie profile is copied by fraudsters, meaning that user can never delete their opt-in advertising preferences. Comscore has predicted that up to 36% of the traffic online is fake. Programmatic is growing apace and is expected to reach $US53 billion in spend globally by 2014, according to Magna Global. That means brands could be wasting billions of dollars on ads not actually seen by anyone. 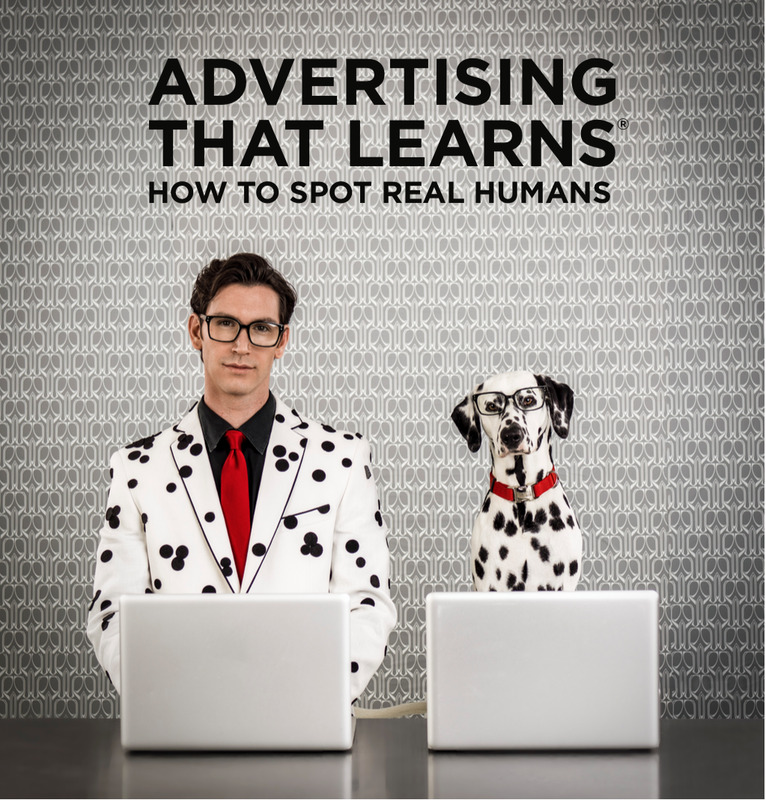 Currently, programmatic still only accounts for 2-3% of marketers’ ad budgets. So right now it’s not front-of-mind. AdTruthJames Collier, AdTruth EMEA managing director. He adds: “These digital ad campaigns still do reach genuine people, people still buy things from sites. But what brands don’t know is what the revenue would have been if there wasn’t any fraudulent traffic. “Ultimately companies will say we have had a look at it, take people out for a nice lunch, give them some free budget and it will mitigate all this. They were put on the naughty step and it [bad press and negative perceptions of their companies] will probably go away. Rocket FuelA screenshot from Rocket Fuel’s Traffic Scanner tool. Dubbed the “Google Analytics of ad fraud”, Traffic Scanner is a free tool open to advertisers, agencies, DSP providers, publishers and competitors to plug in their websites and advertising to get an idea of the quality of the impressions they are being served against. Users need to insert a Traffic Scanner pixel into their display campaign or website and the tool will start loading a daily report. Rocket Fuel says Traffic Scanner uses the same detection and fraud blocking technologies that are built into its own platform, which have been informed by accredited ad detection partners such as Forensiq, comScore, Double Verify, Project Sunblock and Integral Ad Science. Rocket Fuel refused to list detailed examples of the type of fraud Traffic Scanner picks up, so as not to tip off fraudsters. But generally it picks up supicious activity such as websites that look as though they have never been visited by humans or “users” that visit thousands of different sites daily but have never purchased anything online. The tool only gives a percentage of “quality” versus “suspect” campaigns and doesn’t give an idea as to where the questionable traffic is coming from, but Rocket Fuel hopes it will do enough for advertisers to start questioning their suppliers and potentially cut some fraud out of the ecosystem. Rocket FuelPart of Rocket Fuel’s Traffic Scanner launch marketing campaign. 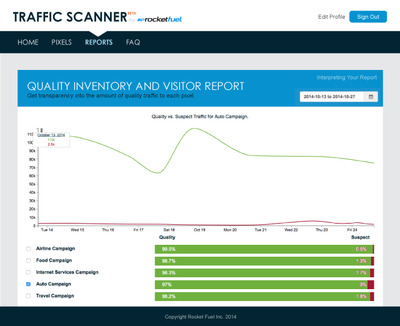 Traffic Scanner is modelled on the free tools Google offers up for the industry to use, such as Google Analytics. The idea is that the more you measure your advertising, search marketing or ad campaigns, the more you’ll be keen to continue using Google’s products. John says the same applies to Traffic Scanner: “Traffic Scanner is mostly for our customers and we hope it helps them have confidence in what we are doing for them. We’re also encouraging them to put in the rest of their ads (that aren’t running through the Rocket Fuel network) and making it free to use. Aside from the launch of Traffic Scanner, Rocket Fuel has already undertaken other proactive measures to ensure to the quality of the audiences it offers advertisers: working with industry bodies including joining the Interactive Advertising Bureau’s (IAB) traffic of good intent and anti-fraud working groups, speaking on the subject of ad fraud at conferences, partnering ad fraud detection services like Forensiq and blocking between 39-40% of the approximately 58 billion impressions it has access to on a daily basis . It’s already paying off. Rocket Fuel also boasts major recent client success stories from the likes of Denny’s, Toshiba, Birds Eye, Buick and Lufthansa on its website. And Mercedes is still a client too. John says last month 10 people from a major CPG took part in the company’s customer immersion programme. 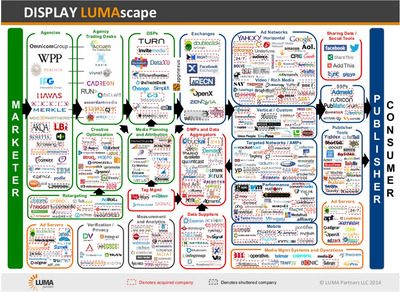 “They told us their dream team of three (internet advertising) partners is Google, Facebook and Rocket Fuel,” he says. Rocket Fuel also recently commissioned a study from Forensiq, an accredited member of the IAB, to evaluate the quality of its impressions. The research found just 3.72% of Rocket Fuel’s impressions were categorized as high risk – well below that industry average of 36% comScore had reported. 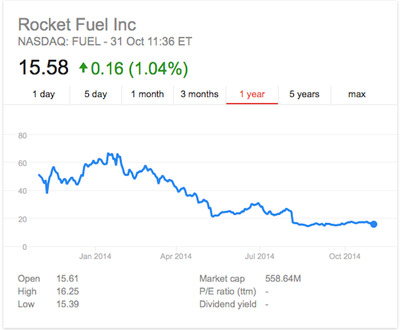 Financially, Rocket Fuel continues to be a success story. In the most recently reported period, the six months to 30 June 2014, revenue rose 80% year on year to $US167 million. Profit was up from $US49.7 million in the first six months of 2013 to $US84.5 million in the same period this year. 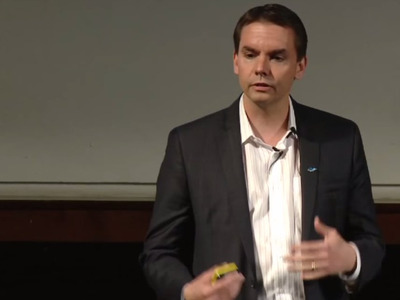 The Financial Times report did not spook investors or clients, John says, adding that the bulk of investor concern about Rocket Fuel and ad fraud hasn’t the prevalence of it on the network and the financial implications (as the suits suggest), but how much time and energy the company is investing in educating customers on the issue.